A lovely light gluten free pasta. Sift the flours into a bowl, add the xanthan and salt. In a separate bowl whisk together the eggs and oil. Make a well in the centre of the flours and salt, then pour the egg mixture into the centre. Mix using a palette knife and bring the flour into the eggs. Mix until the dough starts to come together, then remove onto a lightly floured surface and bring together with your hands. Knead gently until the dough is smooth, then wrap in some cling film and allow to rest for 15 – 20 minutes. Unwrap the dough and divide into 3 – 4 equal size pieces, the roll using a rolling pin or pasta machine until about 5mm thick. 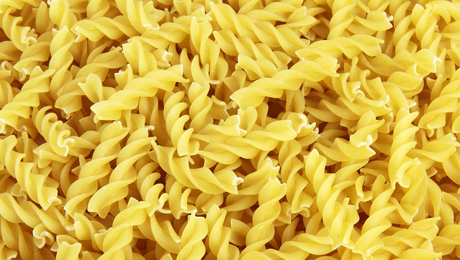 Cut to desired size.To cook, bring a pan of salted water to the boil and cook until al-dente, approx 4 – 5 minutes.